Los Angeles (January 16, 2019) – CJ 4DPLEX (http://www.cj4dx.com), the world’s leading cinema technology company, announced today that the concert film BTS WORLD TOUR <LOVE YOURSELF IN SEOUL> will be available in ScreenX format on January 26, 2019 for a 2 week run. The film was shot at the Olympic Stadium in Seoul in August 2018 and captures the opening of the current BTS WORLD TOUR ‘LOVE YOURSELF’. The tour has already drawn thousands of fans spanning the world from North America to Europe and Asia, and has proved to be the most sought-after tour of 2018. The movie delivers not only an intimate viewing of the full exclusive BTS WORLD TOUR ‘LOVE YOURSELF’ concert set list but also brings the viewer directly into the high energy BTS concert, celebrating the band’s unprecedented international phenomenon. Distributed worldwide by PATHÉ LIVE (except for South Korea where distribution is handled by CGV), the concert film will be available for viewing in both traditional and ScreenX-equipped theatres in 95 countries/territories. The traditional 2D release of the movie will be available for a one-day screening, while in ScreenX, it is scheduled to run for up to 2 weeks in most of the territories. The ScreenX screenings will provide a unique immersive experience with its 270-degree panoramic technology. 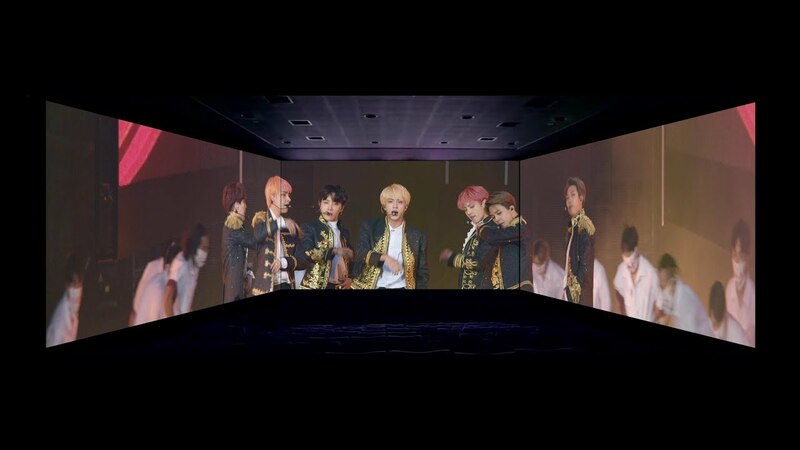 Audiences will be transported to Seoul Olympic Stadium to a front-row view of international artist sensation, BTS, and relive the critically lauded concert performance in the heart of a roaring crowd on ScreenX’s expansive, three-panel screen. Tickets for all confirmed theaters except South Korea is available for purchase on the event’s official website (LoveYourselfinSeoul.Film). “We are very excited to be bringing the new theater concert experience BTS WORLD TOUR <LOVE YOURSELF IN SEOUL> to ScreenX. This film brings music fans around the world one step closer to experiencing a private concert experience.” said JongRyul Kim, CEO of CJ 4DPLEX. Shot at the Olympic Stadium in Seoul during the BTS WORLD TOUR ‘LOVE YOURSELF’, an exclusive screening of the most sought-after concert of 2018 hits movie theaters worldwide for a one-day only event. Uniting fans together to celebrate the seven members of the global boyband and their unprecedented international phenomenon, the event will also be shown in ScreenX theaters, available for additional screenings starting January 26.